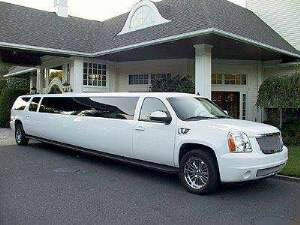 In Memphis Tennessee you may need transportation for your next event. Some of the events we specialize in are birthday parties, bachelor and bachelorette parties, weddings, anniversaries, proms and other high school dances, bar and pub crawls, sporting events, concerts, and corporate outings, also airport transportation pickup and dropoff service depending on the date you needed it. We also can cater to any other event you might have in mind and our service is certainly not limited to only doing certain types of events. It is our goal to reach as many people as possible with our amazing services. And let's face it, who can argue with the amazing things there are to see and do in the Memphis area. We know that you are not going to want to miss phenomenal destinations like Beale Street, Sun Studio, Graceland and the National Civil Rights Museum just to name a few. Just remember to make sure you are on one of our exquisite vehicles when you head out to these very special destination. Believe us, we can take your plans and send them into the stratosphere in terms of fun and excitement. Limo Memphis is centrally located in Memphis to easily provide service to Memphis and any of the surrounding areas. We service any area nearby and if it isn't within our service area we can also service it for an additional fuel surcharge. The fuel surcharge is just so we are able to cover our gas and driver expenses while getting to your destination. The service time starts when we pick you up and stops when we drop you off though. When you step on board, you are not going to believe your eyes. Our vehicles have well earned their nickname of a party on wheels. In fact, you are going to find that you are having so much fun while on board one of our vehicles that you may have to fight yourself in order to get off at your destination. But we dare you to put us to the test, we guarantee that you will not regret it. Many people have asked us why our company is considered the best in the luxury entertainment transportation industry. There are several reasons that this is the case. First and foremost, we realized early on that to be the best in our field we were going to have to acquire only the highest quality vehicles. And that is exactly what we have done through the years. Once a vehicle is in our fleet, we take that vehicle and install some amazing amenities and features that will provide some unbelievable fun and excitement like you have never known. Another factor that is very important to us is the safety of our customers. This is another reason why we are the best in the business. We have certified mechanics on staff who regularly inspect and maintain our entire fleet. This means that the vehicle you are interested in will be ready to roll when you need it. It also means that you will not have to worry about being left stranded on the side of the road or not making it to any of your destinations. Our company also hires professional detailers who meticulously clean every inch of our interiors between uses. This means that you will be stepping into a pristine environment. In terms of driving, we are adamant about only hiring certified and experienced drivers who know the area roads really well. All of our vehicles are equipped with GPS which means there will be no getting lost. Now you know why we are the best of the best. You have come to the perfect place to investigate what we are about. We highly recommend that you peruse our entire website and learn everything that you possibly can about what we do. We suggest that you have a notepad and pen nearby in case any questions or concerns crop up. When you feel like you have gleaned everything that you possibly can from our website, it will be time to contact our customer service office. Our affable and well trained customer service agents are available 24/7, 365 days a year for your convenience. They absolutely love talking about what we do and what we can do for you. We promise you that you will never be pressured into making any kind of decision. If all you want to do is talk about your needs and ask questions, we will certainly be happy to do so for as long as you need to. When you do feel like you are ready to take the nest step, one of our courteous specialists will be more than happy to walk you through our easy and painless booking process. Believe us, you don't want to miss this treat so call us at your earliest convenience. We look forward to hearing from you and talking about the exciting possibilities. Some of the additional areas we service include but are not limited to West Memphis AR, Marion AR, Bartlett TN, Southaven MS, Horn Lake MS, Germantown TN, Millington TN, Olive Branch MS, Collierville TN, Atoka TN, Covington TN, Forrest City AR, West Helena AR, Brownsville TN, and Blytheville AR. This is just a small sample we also service many more cities. We are always hiring chauffeurs so if you are in the market for a Memphis chauffeur job and you are licensed and have experiencs as well as follow direction well and are outgoing we would love to hear from you. 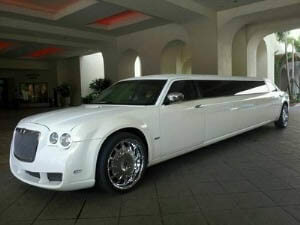 Memphis Limo is the premier luxury fleet in the Memphis area. We handle all of your transportation needs. Whatever you want to do and wherever you want to go, we will get you there safely, with a smile. At Party Bus Memphis we pride ourselves on customer service. If you have any remaining questions or would like to book, you can reach us via phone or e-mail. © 2019 Limo Memphis. All rights reserved.